Try an electric bike, its liberating! Choose how hard you want to work and know the bike can help you get back home, or take you further. Come explore Jackson Hole’s network of great bike routes and pathways with an Electric Bike! Enjoy a spectacular view and front row seating to the wildlife and views along the way. Best of all, your not spending your vacation in traffic or looking for parking! 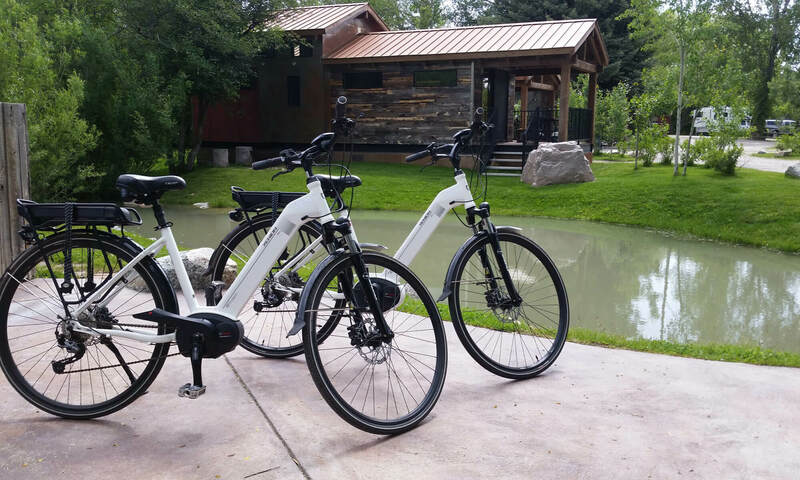 E-bikes of Jackson Hole offers electric bikes and touring bikes to supplement your adventure in Jackson Hole. We are right off the start bus route, or we also offer pick up and delivery.